The 13th century is a period when Silk Road accounts from European travellers starts to become much more common than before. Still, they only make up a fraction of all the written accounts, as the vast majority of the surviving 13th century Silk Road texts was authoried by Asian merchants, diplomats and monks/pilgrims. Below, you will find a few examples of people who travelled on the Silk Road during the 13th century and wrote detailed accounts about it. Yeh-lü Ch’u-ts’ai was a renowned Kithan statesman and poet who became one of Genghis Khan’s trusted advisors. From 1219, he travelled with Gehis Khan and the army through parts of Central Asia, visiting places such as Altai, the Ili valley, Talas, Samarkand, and Buhara. 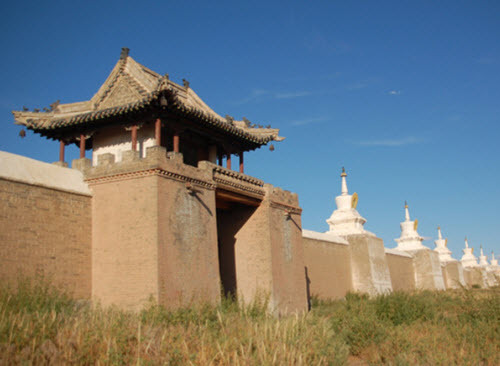 Eventually, they returned via Tienshan, Urumqi, Turfan, and Hami. Yeh-lü Ch’u-ts’ai wrote the book Xi Yue Lu (The Travel Record to the West) and also quite a lot of poetry, including some poems about the mesmerizing Silk Road city of Buhara in Uzbekistan. The European Andrew of Longjumeau, a member of the Christian Dominican Order, was sent as a papal enovy to the Mongols in 1245. He travelled from the Holy Land to Trabriz, in today’s northern Iran. On his second trip, which started in 1249, Andrew of Longjumeau went much farther. This time, he was accompanied by a larger group that included his own brother William. Exacty which route they took is unclear, but they did reach the Mongols living in inner Asia, ruled by Khan Güyüg’s widow Oghul Qaimish. Information about Andrew of Longjumeau’s journeys has been preserved in Matthew Paris’s “Chronica Majora”. In 1220, the Jin Emperor sent his diplomat Chung tuan as an embassador to Ghengis Khan. Accompanied by a man named An T’ing chen, Chung tuan travelled to the Hindukush Mountains. 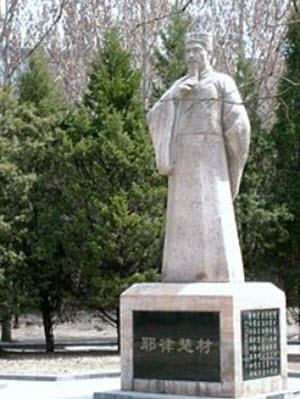 In 1221, the renowned Taoist monk K’iu Ch’ang Ch’un was summoned to the court of Ghengis Khan. Born in 1148, Ch’un was an old man at this point, but he carried out the journey anyway, accompanied by Li Chi Ch’ang. 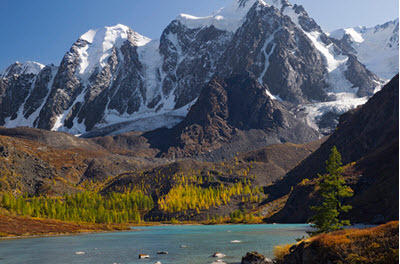 The route went through the Altai Mountains and the Tienshan Mountains, through Kyrgyzstan and then to Samarkand. From Samarkand, they continued into north-eastern Iran and Afghanistan. Li Chi Ch’ang kept a diary during the journey and his notes were published under the title “Hsi Yu Chi” in 1228, and included in the Tao tsang tsi yao. Ascelinus and Simon from San Quentin, both members of the Dominican Order, were sent by the Pope as envoys to the Mongols in 1245. On their way back, bringing Mongol envoys to the Pope, they travelled through places such as Tabriz, Mosul, Allepo, Antioch, and Acre. Simon wrote an account of their experiences, but it is not available in English. Some information is included in Matthew Paris’s “Chronica Majora”. 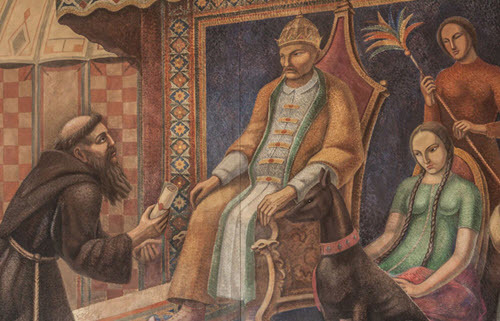 In 1245, these two Franciscan monks were sent by Pope Innocent IV as envoys to the Mongol Khan. They travelled through the lands of Golden Horse ruler Khan Batu to get to the Karakorum area, where they were present as Güyüg was proclaimed as the new Great Khan. Giovanni wrote the book Historia Mongalorum (History of the Mongols). This Franciscan missionary from Flanders accompanied King Louis IX of France on the Seventh Crusade in 1248. In 1253, the king ordered him to travell as a missionary to the Tatars with the goal of converting them to Christianity. Willem first headed for Constantinopel to confer with Baldwin of Hainaut, since he had recently visited Karakorum on behalf of the Latin Emperor. After obtaining information from Baldwin, Willem followed two routes previously used by Friar Julian (from Hungary) and Friar Giovanni da Pian del Carpine, respectively. Willem did not travell alone; he was accompanied by a group that, among others, included an interpretor that would help with communications in the foreign lands. Willem and his group travelled through the Crimean two Sudak and crossed the River Don. Nine days after crossing Don, they reached the Kipchak Khanate ruler Sartaq Khan. Sartaq Khan told Willem about the route he should take to reach the khan’s father Batu Khan at Sarai near tye River Volga. Batu Khan, the Mongol ruler of the Volga region, was not interested in being converted to Christianity, but he told the party how they should journey to reach Möngke Khan – the Great Khan of the Mongols. On 16 September 1253, Willem and his group left on horseback to do the 9,000 km long trip to Karakorum. In Karakorum, they were granted an audience with the Great Khan on 4 January, 1254. Willem’s descriptions of Karakorum are very detailed, and lets us know that this was a walled city with temples and markets. It was a cosmopolitan place, with large enough numbers of Muslim and Chinese craftsmen for them to have established their own separate quarters. In July 1254, Willem and his group started on their long journey home. After returning, Willem presented King Louis IX with the 40 chapter report “Itinerarium fratris Willielmi de Rubruquis de ordine fratrum Minorum, Galli, Anno gratiae 1253 ad partes Orientales”. This report included a lot of valuable information and became one of the great masterpieces of medieval geograpical literature. It did for instance demonstrate that the Caspian Sea was an inland sea and did not go all the way to the Arctic Ocean. Until then, this had been a long-standing question in continental Europe, especially in the south where the travels of Scandinavian explorer Ingvar the Far-Travelled were largely unknown. In 1254, King Hayton I of Little Armenia travelled through the Caucaus and the lands of Khan Batu to reach the Great Khan Möngke in Karakorum. With him was Kirakos Gandsaketsi who wrote an account of the journey. To get home, they travelled via Samarkand, Bukhara and Tabriz. 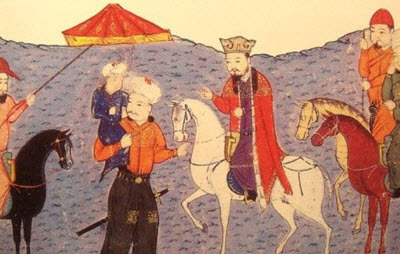 Soon after Hülegü’s conquest of the Abbasid Chaliphate, his brother the Great Khan Möngke sent him the envoy Ch’ang Te. Ch’ang Te wrote a text that is both a travel journal and a second-hand account of Hülegü’s military campaigns. For information about the travels of Niccoló, Maffeo and Marco Polo, please visit the article Marco Polo and his travels on this site. This was two Önggüd (Turkic) Nestorian monks who travelled from Qubilai Khan’s northern capital Tai-tu to the Middle East via the Silk Road’s southern branch, passing through places such as Khotan and Kashgar. Their aim was to reach Jerusalem, but they never got that far. While in the Mongol Ilkhanid lands, they became active in church politics, and Markos was elected head of the Nestorian church, becoming Patriarch Mar Yaballlah III. In 1287, Rabban Bar Sauma travelled west without Markos, as an emissary of the Ilkhanid ruler Arghun. His task was to form an alliance that would help Arghun fight the Mamluks. Sauma’s writings are especially interesting since they provide a different perspective on European customs and rites than most other writers of this era. This was an Italian Franciscan missionary, traveller and statesman who founded early Roman Catholic missions in India and China. He eventually became archbishop of Peking / Beijing. After being active in Armenia and Persia, Giovanni da Montecorvino travelled from Tabriz in 1291, heading for China. Exactly when he arrived in Beijing is unclear, but it was most likely after the death of Kublai Khan in 1294. Giovanni remained in China until his death. Much of what we know about his journeys and experiences in the East are from his letters, since he did not publish any travel journey or similar.